Hi!! Its me again :) Jennifer from Naniheart! 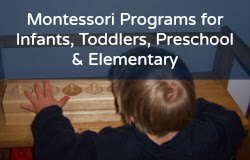 I'm very happy to be guest blogging again for Montessori on a budget! I hope you guys like what I'm about to show you. 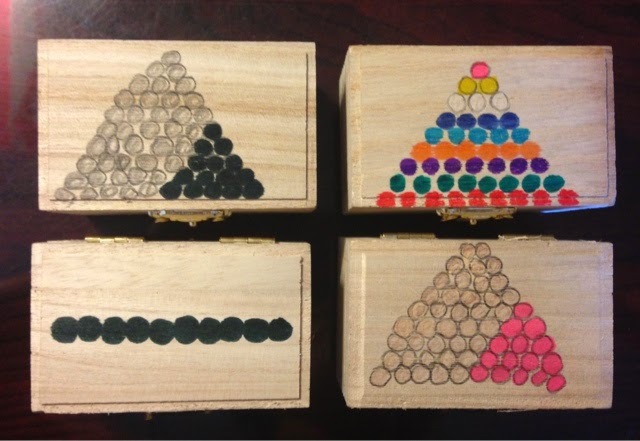 :) I recently created a Introduction to Subtraction game for my daughter, Princess. We've used it a lot this month, she's getting quite skilled at simple subtraction. 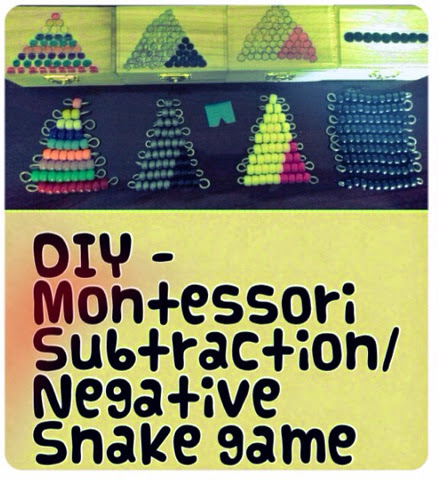 It's no secret that we are Montessori influenced in our home school, so I decided to make the subtraction/negative snake game. This game will hold her mathematical curiosity a bit longer. 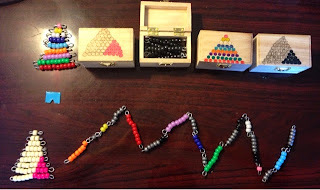 This is my negative bead stair. 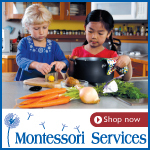 The traditional colors are gray and dark gray. I chose gray and black. 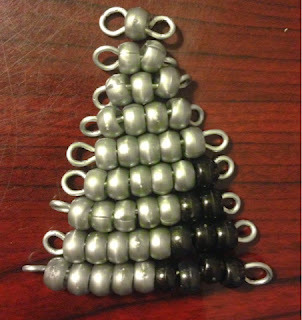 (Didn't have dark gray) I made 3 sets of these. As Princess gains more knowledge on subtraction, I will add another stair to her box. For now, she will only have 1 negative stair. This is how I store my bead material. 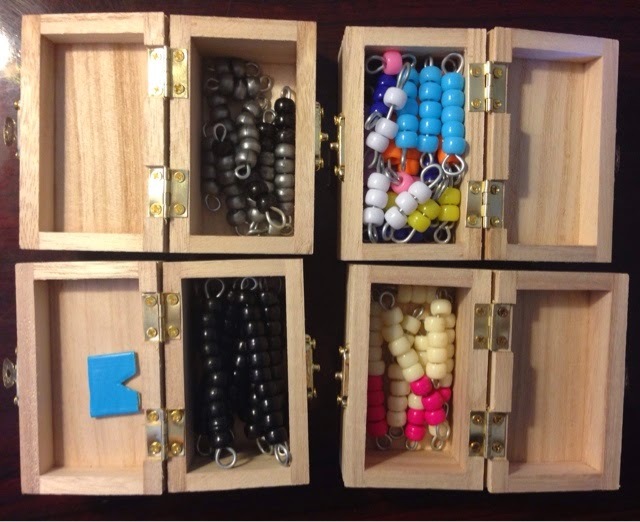 They all have their own little wooden container. I got these at Michael's Craft store for $1 each. They work perfectly for me. 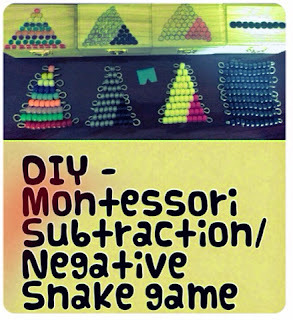 If you need instructions on how to introduce the subtraction snake game click here.